Academy Medical’s founder Dan Shaw received a very heartwarming request from Midshipman Second Class Michael Pifer of the U.S. Navy. Dan has known Michael since he was an infant as Michael’s parents were Dan’s neighbors while he was on active duty stationed in Jacksonville, Florida. Michael and Dan’s son even shared cribs during this time. After scouring his closets looking for his old flight apparel, Dan found a patch that he pulled straight off his last flight suit, and gave it to Michael. 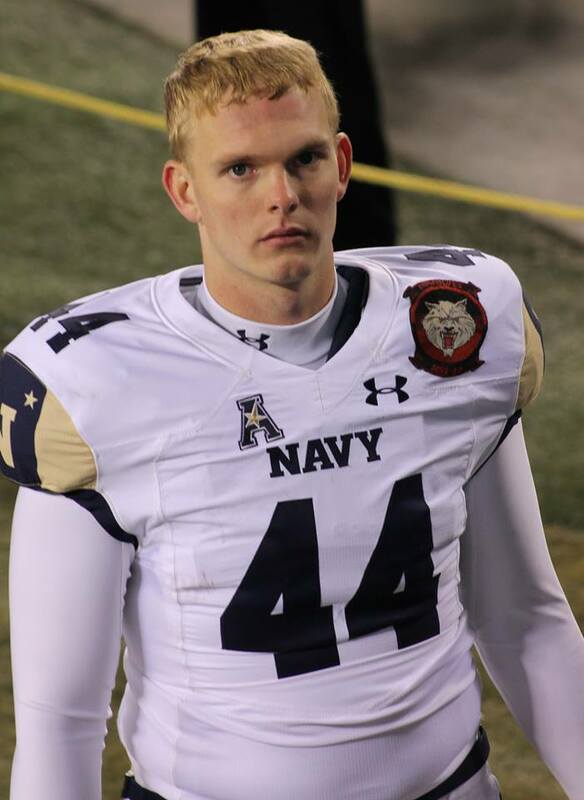 Today, Michael is the starting long snapper for the Navy’s varsity football team, and he is shown here wearing Dan’s flight patch. Dan was proud to accommodate his request and see him out on the field representing not only Dan’s squadron, but all of the men and women who have served in it, past and present.